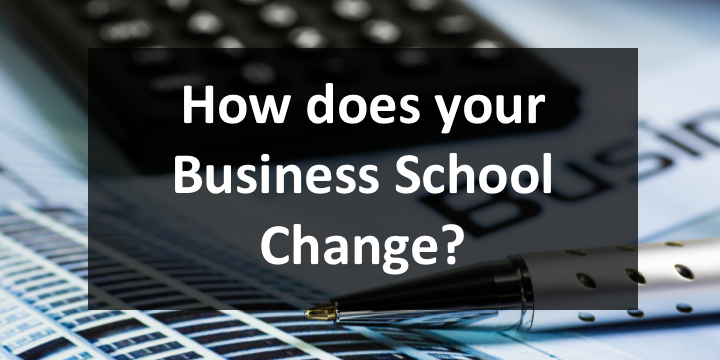 05 Sep How Does Your Business School Change? Through our work with more than 60 business schools we’ve learned a thing or two about how change occurs, or doesn’t, in institutions. Whether it is gathering the will to tackle a glaring but long-ignored shortcoming in the marketing function, determining to eliminate a dying academic program that has, as Eduvantis would say, “reached its peak in the product lifecycle,” agreeing to re-engineer an outdated admissions process or taking some other such important step, change often comes hard. This, of course, has critical negative implications for business schools as they operate in a disrupted, rapidly changing and hyper-competitive environment – an environment in which change and market responsiveness is the foundation of competitive advantage. We’ve watched important – critically important problems get pushed under the rug, clearly correct decisions not get made and seemingly small problems eventually blossom into full-blown crisis, due to inaction. Based on our experience, there are 5 main reasons that change is often hard in business schools (there are certainly more). Look out for them in your institution and consider their impact in your particular context. The work that we do at Eduvantis – which isolates with data and analysis the actual factors that drive institutional and program success in the marketplace – often puts us in direct contact with these “anti-change” forces. We’re frequently in front of faculty groups, for example, to explain – with data and analysis that must be “bullet proof” – exactly why a certain specialized master’s program has no objective hope of succeeding in its market or that the lack of sufficient hybrid delivery in the FT MBA program will continue to cause a 5% year-over-year drop in market share. Our advice to counter the above “big 5?” Get the data!